If ever you're involved in a car accident or something happens and you're hurt, you'll want to have a personal injury lawyer on speed dial. Still hesitant about finding an attorney? We have 10 reasons why you should reconsider your stance on hiring a personal injury lawyer. In 2017 alone, motor vehicle collisions caused 160,315 personal injuries. The odds of a motor vehicle or workplace incident happening to you are low. If it does, though, it can be a difficult legal battle to receive the financial compensation you deserve. Whether or not you have a top-rated personal injury lawyer on your side could make the difference between receiving financial compensation or not. When Would I Need a Personal Injury Lawyer? You might need a personal injury lawyers when you get hurt by someone else, either directly or indirectly. A direct injury is called an intentional harm or tort. If someone becomes angry and breaks their friend's leg by pushing them down a staircase, the other friend can sue for intentional harm. Negligence is an indirect harm or tort. If a customer falls on a slippery floor, the restaurant didn't directly make the customer fall, but they were negligent because they did not put up a wet floor sign. Any injuries the customer suffers from are the restaurant's fault. Most claims are not settled in court but instead through an informal settlement between the two parties before a case formally begins in court. No matter what the situation, though, having a personal injury lawyer will always lead to the best outcome. Read on for the 10 reasons you need to hire a personal injury lawyer. While most people will only suffer from one or two accidents during their life, personal injury lawyers deal with cases like yours on a daily basis. They know the ins and outs of the court system and know what is best to do. Lawyers must spend a total of seven years in undergraduate and post-graduate school, and most have years of experience before handling a personal injury case on their own. Knowing that a lawyer must be well versed in order to take care of your claim should make it easy to trust them with your case. Unfortunately, just because someone has wronged you doesn't mean you are automatically entitled to financial compensation. You have to go through civil procedures to formalize your request and prove the other person's fault. And you probably haven't had to deal with civil litigation before and may struggle with the seemingly endless paperwork, tiring court meetings, and strange vocabulary. Lawyers specialize in this and know how to thrive despite it. Although you may know some of these terms, understanding all of them and using them yourself can be difficult while trying to recover from your injury. A personal injury lawyer is an expert red tape cutter, and moving your claim to the next step will be a breeze. While you may be able to argue your case well, a lawyer can take it to the next level with more hard evidence only they can find. In TV shows and movies, lawyers are often shown working late nights and early mornings to study their client's case. They research topics, contact witnesses, and deduce the truth in hopes to help their client. Believe it or not, lawyers do this in real life too. As advanced researchers and logical thinkers, you can trust a personal injury lawyer to find the evidence and testimonies they need to prove your claim. Some lawyers even have their own investigative team to do this work with them. You just had an accident. Whether it was a major car wreck or a broken bone at work, you are in pain, and letting your body heal should be your first priority. Maybe it was some kind of emotional pain, and now it's hard to focus on anything at all. If you don't take a moment to deal with this pain, your suffering will only prolong itself. The very last thing you need to be doing is worrying about your case. A situation like this why it is so important to let a personal injury lawyer take care of you and your claim. Because the case will go quicker and smoother, you'll have time to focus on yourself and breathe. Before long, you'll return to your hobbies, family, and work, because of your personal injury lawyer. During a settlement, a plaintiff has a better chance to receive more money if they have a lawyer than if they do not. There are a few reasons this is the case. Insurance companies, defendants, judges, and juries take a case more seriously if a lawyer is involved in it. They know a lawyer will be able to hold them accountable and do what is necessary for their client. Lawyers have quality experience in personal injury cases. As said before, their experience helps makes the claim process easier, but it also means they know what to do to make sure you get the correct financial compensation. Personal injury lawyers are also master negotiators. It's not enough to win a case; a lawyer can make sure you win and receive the right amount of money. While your claim is not only about receiving financial compensation, it is a large part of it, and you'll want to make sure you have enough to cover your legal fees, lost income, hospital bills, and anything else that may come up. You've probably heard horror stories of court cases dragging on for years and costing plaintiffs thousands of dollars. In fact, the longest court case in Canadian history lasted from 1992-2015, and while yours probably won't last quite that long with or without a lawyer, you could be waiting months or years longer on your settlement without the expertise of a personal injury lawyer. Settling a claim is a time-consuming process as well. Letting an injury haunt you for a long time will make free time hard to come by and work more exhausting. A personal injury lawyer will be able to take care of your case much more quickly, and because it's part of their job, you'll be able to get back to yours. Personal injury lawyers can also make sure you don't have to deal with a frustrating trial. Instead, they may be able to help the two parties use an ADR, a settlement made outside of court. There are a few different types of ADRs. Arbitration can be thought of as a mini-trial. The two parties will choose a neutral third party to serve as the judge of their trial. They will present their evidence, and the third party makes a decision they agreed to accept beforehand. Mediation is similar to attribution, but the parties can accept or reject the compromise the mediator, the neutral third party, makes. If either party rejects it, the two parties may use another ADR or move to trial. Negotiation is a situation in which two parties attempt to compromise without a third party. Usually, this step will always be taken whether formally or not. Conciliation asks a third party to meet with the two other parties separately. In these meetings, the conciliator tries to calm each party down. This method is less formal but useful when tensions are high. Neutral Evaluation is similar to mediation, but the third party gives suggestions and not a potentially binding settlement. The third party here is usually a neutral lawyer and helpful for legally complex issues. An ADR will not only save your time but also your money. Court fees and trial lawyers are expensive, but an ADR will keep you from paying for them. A personal injury lawyer will work to give your claim a chance outside of court. When deciding whether or not to hire a personal injury lawyer, many people worry about the cost of hiring one, and this makes sense. Some lawyers charge hundreds of dollars per hour, and spending money that you may not be able to pay unless you win can be frightening. This isn't always the case though. Many personal injury lawyers do not charge you for their fees if they do not win the case. This is called a contingency fee and is settled before the lawyer takes the case officially. Lawyers who work for firms or have a lot of cases are able to do this because they win enough cases to pay for the ones they lose. If they win 9 out of 10 cases, they can afford losing one. Using this strategy, attorneys can open up their services to cases with plaintiffs who are worried about affording a lawyer. This gives them more business and, in the long run, more money. If you find the right attorney, there is no risk in losing money when you hire a personal injury lawyer to take over your case. When someone has wronged us, it can be easy to see it from our perspective alone or be overly frustrated. Simply thinking about the situation can be painful. This is an easy trap to fall into when dealing with personal injury claims, especially in intentional harm. We may make decisions based only on emotions and not on what is best for the situation. Letting a lawyer take care of your case will help make sure the most logical decisions are being made. While they care about you and your case, they have not been hurt personally, meaning they will see the situation through an objective lens. Being so close to the case may also continue to emotionally hurt you, but a lawyer will be able to think more clearly about it. For personal and legal reasons, having a personal injury lawyer is the safest bet. Insurance companies ironically do not want to give their clients money when they need it. Although their entire business is based on the promise that they will give the money back to their clients, it can be difficult to make them keep that promise. Insurance companies have professionals working for them, and you should too. Just like a personal injury lawyer, insurance lawyers deal with cases like yours daily. It is their job to make sure they give you as little money as possible. Don't let them take away the money that rightfully belongs to you by throwing confusing words and complex terms at you. Going to court against an insurance company alone is not a safe bet, but a personal injury lawyer will do wonders against the insurance company's attorneys. Your claim will be taken more seriously, and the possibility that you get your insurance money increases. Although it might seem obvious, it can be easy to forget that personal injury lawyers want you to win your case. They make their livelihood through cases like yours and will do everything they can to make sure you win, even if the odds are stacked against you. Winning a case gives them money and also helps their reputation. With a better reputation and more money, personal injury lawyers can continue to grow in their business. Losing, on the other hand, does the opposite for them. Losing has negative consequences for a lawyer, maybe even more than you would have. With this in mind, it should be easy to hand over your case to a personal injury lawyer. 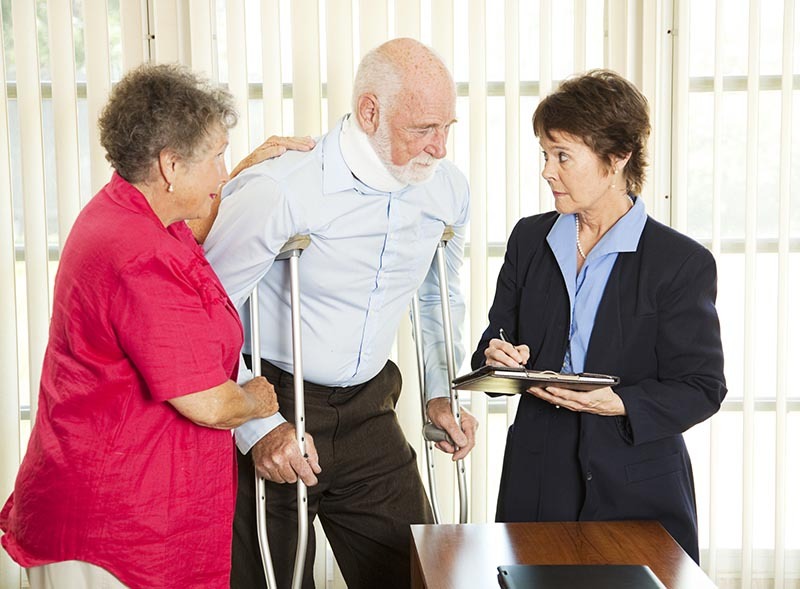 As a team, you and your attorney can work together to settle your case and continue your healing process. Understanding the importance of having a personal injury lawyer is not the end of the line. The next step is to find a lawyer, and while searching, "lawyers near me" might work, we suggest visiting our contact page to speak with us today. And, if you're still not convinced, explore our blog to find out more about working with a lawyer. This entry was posted in personal injury lawyer by verhaeghelaw. Bookmark the permalink.